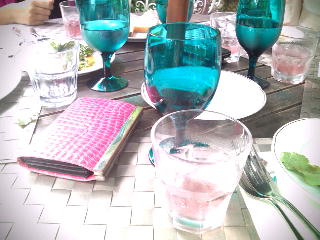 Blessed with a beautiful day, our team decided on a lunch out. 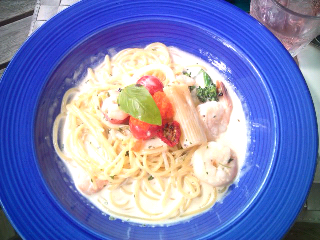 Italian! Or a variation there of. 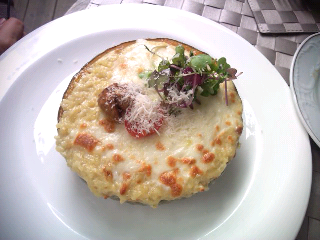 This is a risotto in a pumpkin, with melted cheese. Yum. Creamy seafood pasta with a little spice. Yum yum! 189-14 Jangchungdong 2(i)-ga, Jung-gu, Seoul.